Kat Williams has recently been in on our front seats as he has had a string of media publicized outbreaks during his tour in Seattle, US. The first time he was on our news is when he was doing a show in Oakland, where he was attacked by a Heckler, Kat Williams responded but got himself to involved in the argument as the heckler became personal with his verbal attacks. Then rapper Too Short apologizes for Kat Williams behavior by saying Kat was on some strong drugs, so he was not responsible for his attitude, but at the same time the Hecklers are "just as in the wrong". Whether Kat was really on drugs that night, or not, is to be known. 35-year-old Brian Herline of Modesto, is seeking class-action certification in an effort to get ticket money back for all audience members. Herline says hundreds of fans were left disappointed after Katt's outrageous performance. "Instead, after a short series of bizarre events onstage, in which Williams confronted a heckler, took his clothes off and attempted to fight at least three audience members, the 'act' abruptly ended after 10 minutes" the suit said. "In sum, Williams failed to perform". In the same video, he gets arrested on stage, after being released from jail from an earlier incident he had, where allegedly he attacked a person in a bar with a bottle. Later MSNBC produced a comic gig where they portrayed Kat Williams, played by Jay Pharoah on Saturday Night Live's Weekend Update to explain his recent behavior as of late, making fun of Kat Williams's persona. Katt Williams had a run in with the police, According to TMZ, the comedian led police on a wild chase while riding a three-wheeled motorcycle. Katt reportedly drove on the wrong side of the road at times during the chase. At one point he took off his helmet and yelled to the police that he wasn't going to stop Police eventually called off the chase for safety reasons. They plan to ask the D.A. to charge Williams with felony evasion. The top speed of a 3 wheel car is 115 mph, compared to a police car of 129 mph. The reason why 115 mph is the top limit is because if you start accelerating to anything close to that figure the car will topple over. It's weird how police called of the chase for "safety reasons"
It is difficult to know what the argument was about, and why Kat Williams attacked the employee. While the employee calls the police, Katt says "I'll stand outside and wait" before hopping on an electric cart. Witness were able to tell police that the man called the police, but not of what the argument was about. 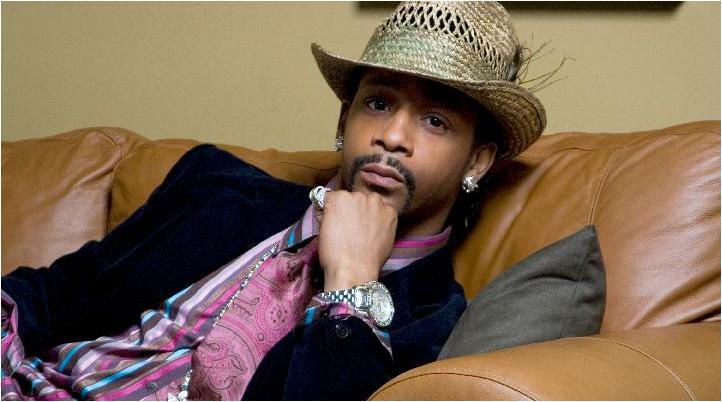 Further, according to TMZ, Katt Williams was arrested on following a bar fight in Seattle, during which he allegedly threatened people with a pool cue, this according to Seattle police. According to police, Williams "brandished a pool cue at a bar manager and refused to leave the business" and later followed a family outside of the bar where he threw a cigarette at a woman as she got into her car, hitting her in the eye. Police say Williams also threw a rock at the car. Williams was booked into King County Jail for investigation of harassment, assault and obstructing police. He was released early Monday morning by being bailed out by tour manager Suge Knight. The L.A. Weekly also reported that Katt missed his scheduled show in Seattle on Thursday after his Hummer ran out of gas. Katt attacked the vehicle by slashing its tires and ramming it with a backup vehicle. Kat Williams became stressed out and started crying on camera as he announces to Komo news that he will retire. It's interesting that Komo media did not play the full interview, as the rest of the interview could have valuable information from Kat Williams on what's really going on from his side. As of now, we have still yet to hear from Kat William's Camp.